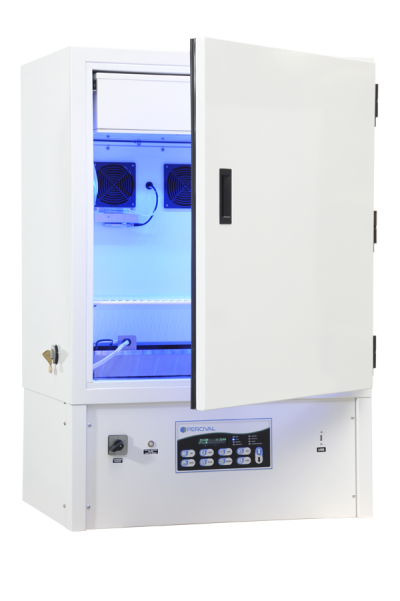 These Percival® chambers was specifically designed for plant growth light quality studies and other experiments requiring specific wavelengths of light. -Rear chamber wall mounted evaporator coil incorporates an air circulation fan. Heat rejection to ambient from standard chamber is 1800 BTU/hr.